You know you've made it in the film industry when a line from your first commercial success makes the American Film Industry's list of the top 100 movie quotes of all time – a list compiled just five years after its release. "I see dead people," the famous line from 1999's "The Sixth Sense," written and directed by M. Night Shyamalan, reached No. 44 on the AFI's list. It ranked ahead of famous quotes including "Hasta la vista, baby" ("Terminator 2: Judgment Day"), "Nobody puts Baby in a corner" ("Dirty Dancing"), and "Stella! Hey, Stella!" ("A Streetcar Named Desire"). 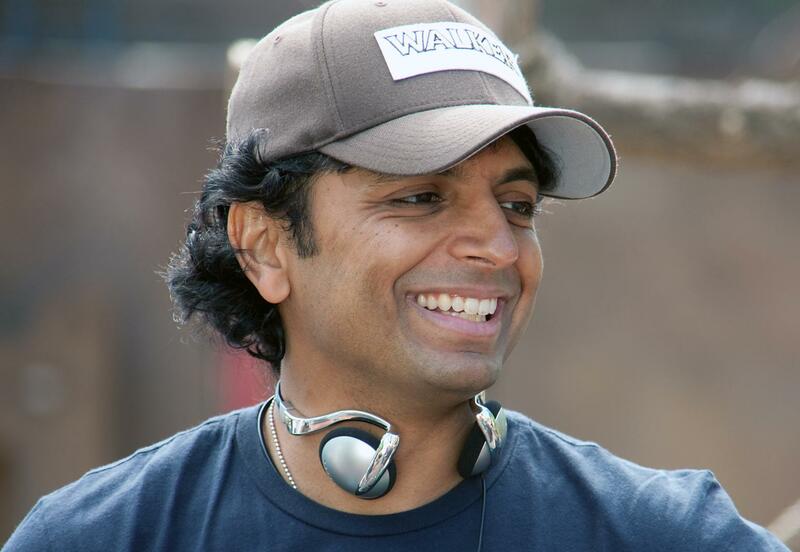 M. Night Shyamalan – born in Pondicherry, India as Manoj Shyamalan– was presented with the Distinguished Arts Award at the 2002 Governor's Awards for the Arts in Harrisburg. His family moved to Penn Valley, Pa., a suburb of Philadelphia, when he was a boy, and Shyamalan is known for using eastern Pennsylvania as the landscape for many of his works. A fan of Steven Spielberg and Alfred Hitchcock, Shyamalan began to toy with a Super-8 camera during his teenage years and had recorded 45 films before his 16th birthday. Shyamalan's parents, both doctors, had conflicting views on his hobby – his father wanted him to follow in the family tradition and attend medical school, while his mother encouraged him to follow his dream to go to college and study film. No twist ending here; Shyamalan took the plunge to study film at New York University, and American cinema hasn't been the same since. References to his work – "The Sixth Sense" in particular – permeate TV and cinema for a guaranteed laugh, from "Scary Movie" to "It's Always Sunny in Philadelphia" and even a meme used often on Reddit, Tumblr, and 4Chan. Shyamalan's work, known mainly for its twist endings, is complex, featuring intricately woven themes of the supernatural, the spiritual and the grieving human psyche. His films fold and unfold, ever suspenseful, until the last crease has been stiffened and the viewer looks at it from afar with a brand-new perspective on the now-complete story arc. Which brings us to this week's call to artful action: it's origami time. Origami, the traditional Japanese art of paper folding, has been used since Buddhist monks brought paper to Japan in the sixth century, and certain traditions associate origami designs with good luck. When we so often succumb to the constant hum of our flurrying minds – ceaselessly thinking about meetings, agendas, or projects – the peaceful creasing and un-creasing of origami can be a way to bring order to our chaos. Take a break from your corporate forest of Post-It notes and letterhead and repurpose that paper to create everyday art you can keep right at your desk. When was the last time you allowed yourself the artistic space to add a little whimsy to your workday? Looking for a place to start? Head over to WeLoveErieArt.com to try out our easy origami penguin template, or find and make your own. If you're feeling particularly childlike and mischievous, a paper airplane will do just fine. Instagram a photo of your prized paper or origami art with hashtag #erieart or post it to the "2012 Governor's Awards for the Arts in PA" Facebook page and you could win an Erie Reader subscription ($50 value), a $40 Glass Growers Gallery gift certificate (they have plenty of Asian-inspired and bird art, if that tickles your fancy! ), and two tickets to both the hot,hot,hot Governor's Awards for the Arts at the Warner and Aftermath after-party at the Erie Art Museum on September 20 (priceless!). Happy folding!